Digital transformation has put a tremendous pressure on the CIOs to innovate. They are no longer on the periphery of the business decision making. Smarter organisations are putting them in the centre and there is an expectation from the CIOs of today to execute on the business decision. They nature of the CIO is changing. Now the CIO is becoming very central. There are today three kinds of CIOs that we come across. The laggards who continue to view themselves as cost centre and make investments based on pricing. Then we have the business CIO who is on the board leadership team, who looks upon technology as an enabler to executing business ideas. Business CIO is willing to invest in technology that will help in the business process and impact the bottom line. Then there is the new generation of CIOs who want to be the change agent of innovation. They want to help the organisation transition to modern technologies. This new generation of CIOs are ready to innovate and try new things. They are looking for continuous optimisation and digital refinement. Digitalization is the pillar that will either enable or constrain an organisation’s ability to execute the strategy. This is where we are seeing a dichotomy in the way the CIOs are working today. This is very apparent in the Asia Pacific market. In this digital change, there are CIOs who are slow to make the transition. They are yet to make that transition of being able to foster innovation. They are not forward leaning. Then there is a set which have become the leading force. These are the people who are working on innovative incubation centres, trying out technologies and implement them and still save money for the organisation. When a CIO has to work towards digital transformation, he or she faces certain types of problems. The biggest one is IT optimisation. This is the first step to digital transformation, and most organisations are already doing something about this. This is waning a bit. The second big challenge is agile integration of application. According to a Forrester research, an average application running business processes in an organisation has about 100 integration points. Ensuring that at every point application is available to all is a big task to manage. Then think of the situation, when the organisation has opted for SaaS. I can say that without doubt mastering agile integration is tough. The big one is cloud native development. Cloud native development is about velocity and speed, and scale. In essence, this has evolved from what the web/e-commerce companies have done for their consumers. It is about developing applications that can run in cloud architecture. These have to be lightweight, agile, have excellent user experience and offer the target audience unique band engagement experience. Cloud native development enables the organisation achieve business objective faster. For this the CIO has to develop an in-house team and remain more responsive and business focused. For CIOs it is always about cost – it’s a process of continuous optimisation. How does a CIO restructure? Work towards digital refinement. The CIO today is tasked with ensuring that the IT team masters the art of software development and software architecture; facilitates the velocity of code and the velocity of production on a continuous basis. That’s where Open source has its DNA in an agile way. Open source has been and is now becoming the predominant source of software and next generation architecture that enable the CIOs to do just that – reduce the cost of per unit of IT delivery and restructure the IT department. A CIO can work with Open source to make the IT unit within the organisation to look like Silicon Valley – where they innovate, experiment, incubate, and deploy innovative technology. This is why Open source is the leading architecture to support innovation. Open innovation lab is about helping an institution kick start a superior way to develop software and delivery in concert with the business. For CIOs this is music to their ears. The IT department is bifurcated from the business and it is in a scenario where IT is heavily outsourced. There has to be a change in the way that IT is being delivered. Open Innovation Labs works with the business team, the IT team, and team from Red Hat. This is where the three come together and build a prototype or a pilot system, apply DevOps agile practices and put code into production and show the results to the business in a condensed period of time. The focus is on next generation of architectures – our on premise or multi-cloud architecture. The aim of the Open Innovation Labs to show the organisation what a new technology design or strategy may look like. This enables the CIOs to understand the changes they need to make within their organisations to deploy the innovations that have been worked within the Lab. The customer can decide to have an Open Innovation Lab within its premise or in our premise. 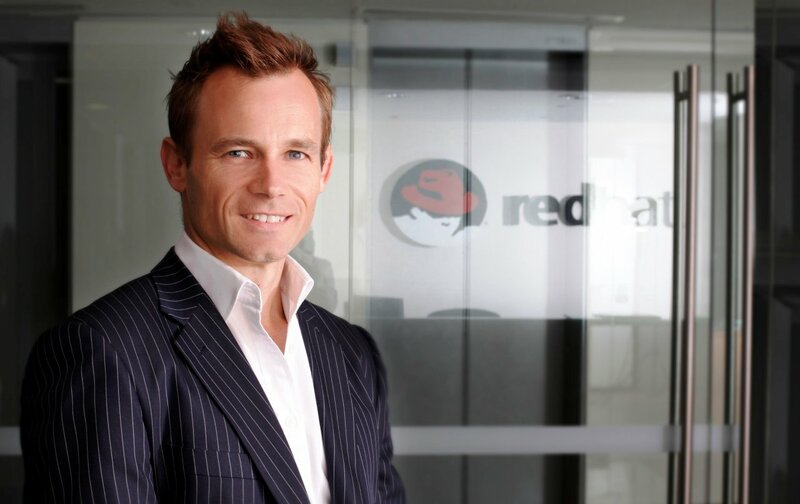 Red Hat consultants will work with the CIO and the IT team to design and develop a solution. The uniqueness of the Open Innovation Lab is that we offer onsite residency for 6 to 12 weeks.